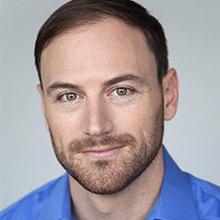 As the Director of Business Development at Indiegogo – the world’s largest global crowdfunding platform, empowering people to unite around ideas and together make those ideas come to life – Bret has focused on establishing innovative partnerships to help entrepreneurs navigate the product development process to successfully bring their projects from concept to market. Collaborations with industry-leading companies in procurement, manufacturing, fulfillment, retail and venture capital have helped bridge the innovation gap between entrepreneurs and corporations. Bret is also the creator and host of Go Time, the Indiegogo podcast highlighting the unique stories behind Indiegogo’s most impactful campaigns.